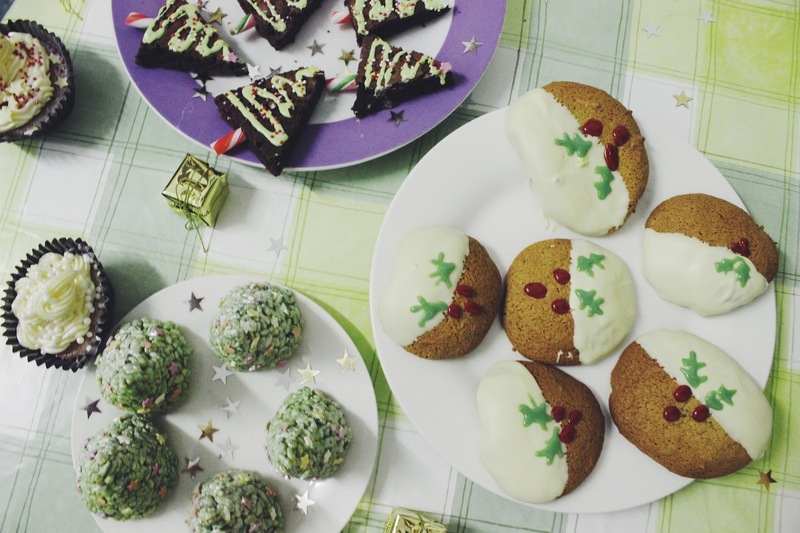 If you go on to Pinterest, and type in the words 'Christmas baking' you'll be presented with a never-ending inventory of 'simple' yet 'beautiful' recipes to get you into the festive spirit. Every one lures you in with a glossy photo, and the promise that it's instructions are so easy to comprehend that your 4 year old nephew could make it. Turns out, everyone on Pinterest is a bloody liar. Seeing as Blair is away at work, and I've been having a boring old time of it here, I headed in to the centre of Edinburgh to hang out with my idiot little brother. 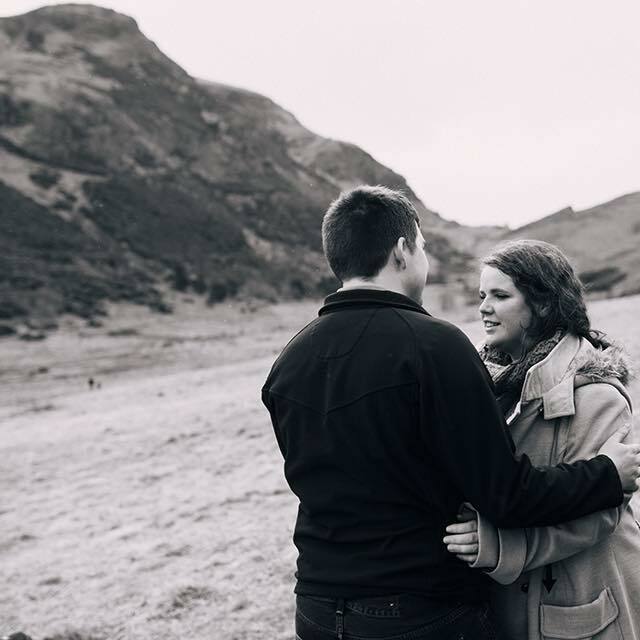 Like a lot of people, 2016 hasn't been the most fun year of our lives, and we also felt that at the grand old ages of 25 and 27, Christmas had sort of lost its sparkle a bit (soz M&S). This year we wanted to get extra super festive in order to have something to look forward to, so that we weren't left totally over the whole thing by Christmas Eve like always. Opening up Pinterest was like a dream come true. 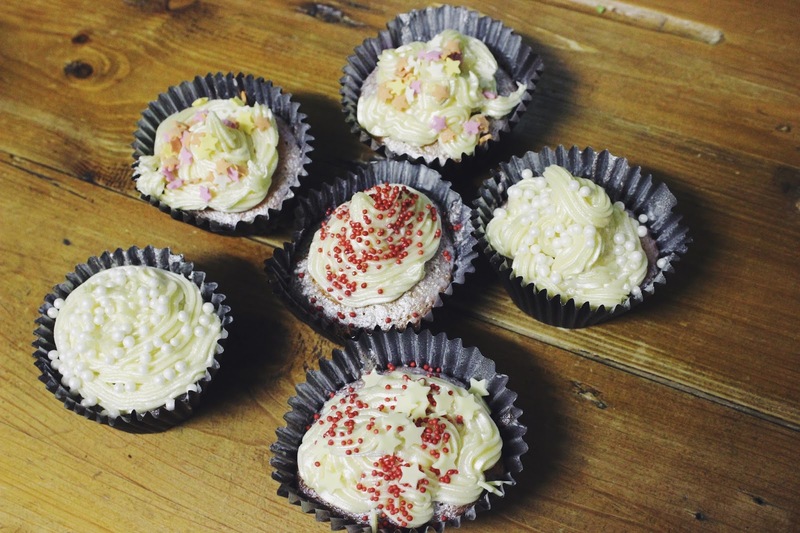 There are some of the cutest baked goods I've ever seen in my life on there, so we picked a few recipes we wanted to try and headed out to pick up supplies. Honestly that's where it all just fell apart. We really should've just admitted defeat there and then. We couldn't find the right ingredients (I ended up in 4 different supermarkets), I kept buying the wrong things, I forgot to get the actual most important bits, and I somehow ended up with five 120g bars of Milkybar white chocolate. All this before we'd even turned on the oven. I was actually proud of how the brownies looked when we first got them out of the oven, until we tried to cut them. How is it possible to make something that is both rock solid and under-cooked? It's a real talent. Oh, and we managed to cut the wrong shape, so they didn't look like trees at all. We managed to salvage a handful, but then we tried to ice them. I'm not going to pretend that we made the icing - I don't know about you but if I ever make buttercream icing without an electric whisk I end up with lumpy bits of butter in it, so we used a Betty Crocker one. How did I manage to make something so thick and creamy (ooer) into a watery mess just by adding food colouring? Sound, sweet, thanks Betty. There was green icing bloody everywhere at this point. Eventually we got the icing, little stars and 'baubles' on them, but then there was the task of trying to give them a candy cane tree trunk. I might as well have just chucked them in the bin to begin with, they crumbled in my hands (double ooer). Not our finest hour, but we gathered our thoughts and moved on to the next thing. 200g of chocolate isn't all that much when it's melted down. 200g of Rice Krispies, however, is bloody loads. We used an entire tube of green gel food colouring but it was all looking a bit beige, so out into the rainy streets of Edinburgh I went on the hunt for more. Turns out nowhere sells it, so that's good. We did have some water based colouring, and even though they specifically said not to use it - we did. Yeah, don't do that. It totally fucks your white chocolate which is far from ideal. We had to use more - and then even more - to get the Krispies feeling at all 'sticky'. Oh and this isn't forgetting the absolute shocker of a time we had making the baking parchment cone moulds... Jesus Christ. Decorating these is fairly easy - just a blob of icing on the back of the little stars - but they started disintegrating from the bottom up. Oh well, just pretend it's like a real Christmas tree dropping its needles. 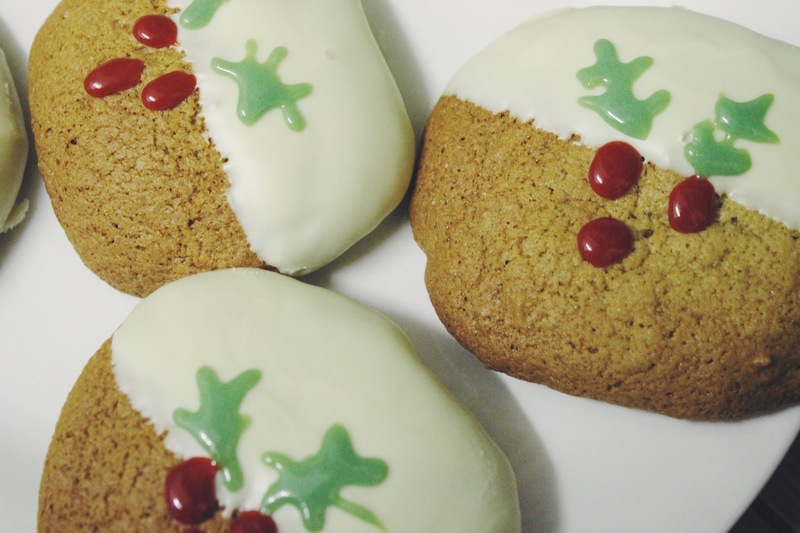 Next, we tried our hand at ginger cookies. I don't even really like ginger that much, but they looked so cute that I couldn't resist. The cookies themselves weren't too much of a disaster, except for how in the name of God does anyone get them as perfectly round as on Pinterest? Actually, the decoration wasn't THAT bad - it's just that those little tubes of icing you pick up from Tesco for like a quid aren't as easy to use as you'd think. 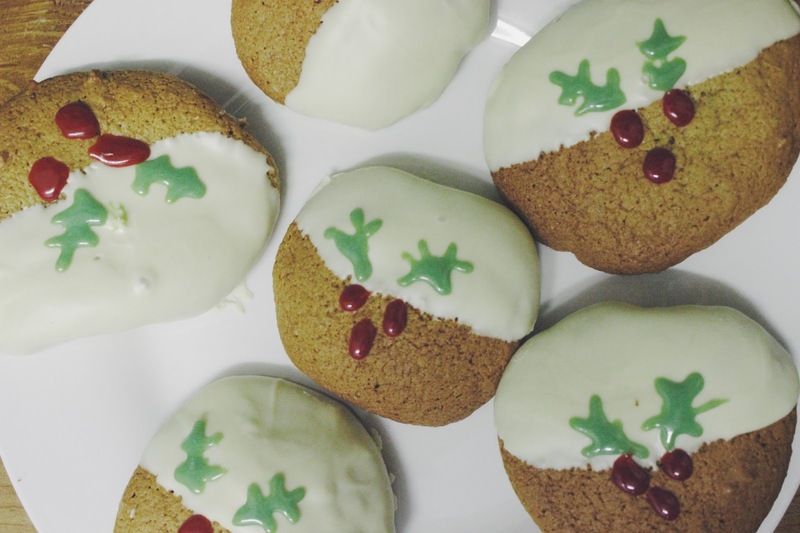 Our questionable holly leaves aside, these are potentially the most successful thing we made. Lastly, the big one - cupcakes. 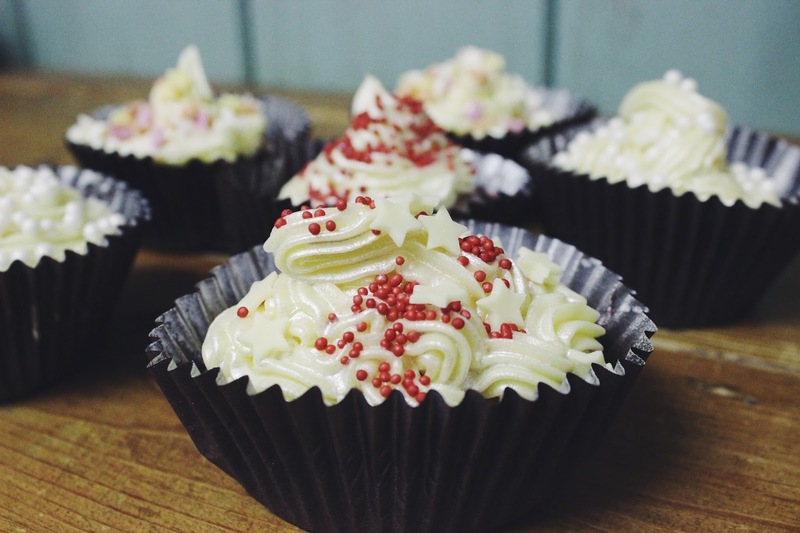 We had this idea of making the most Instagram-able cupcakes you've ever seen, but for some reason my £1.50 piping bag wasn't having any of it. 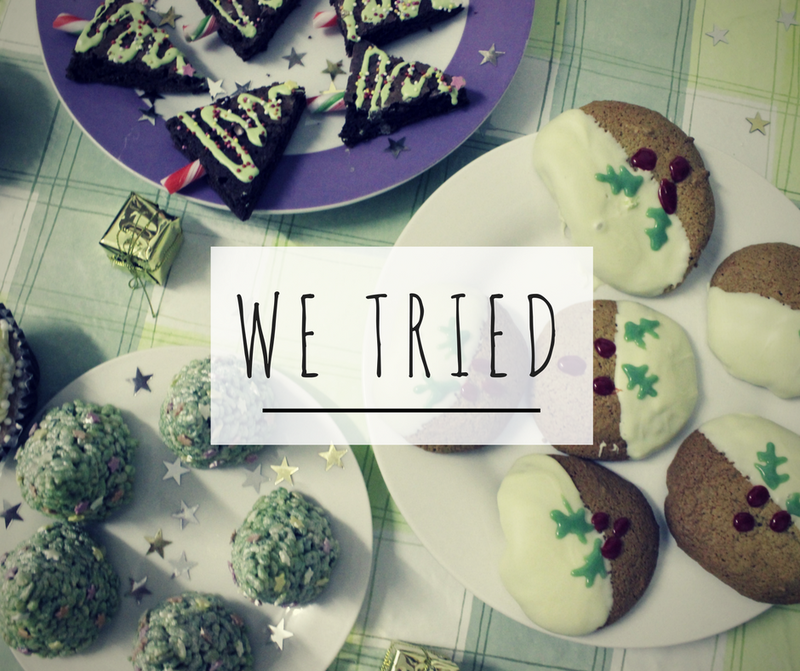 I can't even explain to you how horrendous the icing looked - we were crying with laughter about how much they resembled dog poo. The overall styling didn't go that well either; we'd bought a silver spray to glam the cakes up a bit but you literally cannot see a difference. 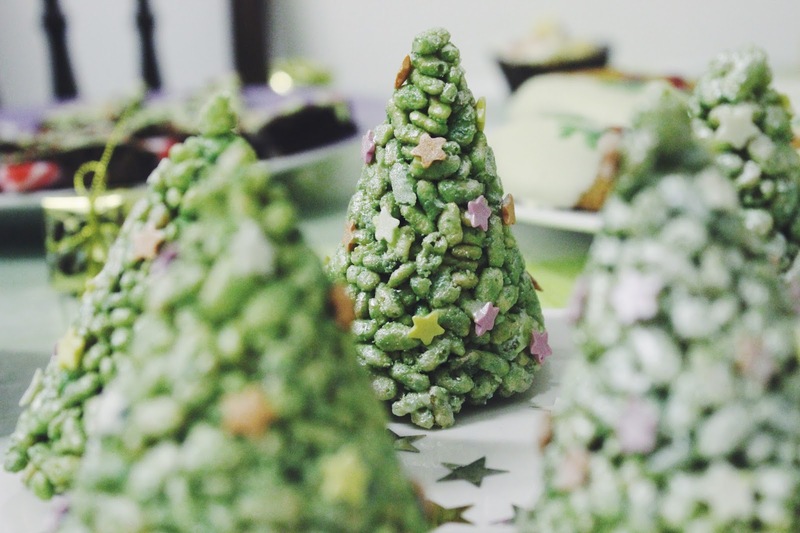 In the end we used it on the Rice Krispie trees (yes, after all that effort to make them green we just made them silver in the end). So baking didn't go that well, really - and I'm not even going to discuss our attempt at a bauble wreath. Pinterest is not as foolproof as it might seem. Overall though, I had so much fun hanging out with my brother, and I definitely felt a lot more festive afterwards. I'm just glad we'd tried all of these before Christmas, so we didn't present these monstrosities to our family. Have you tried any Pinterest recipes? Did they work or spectacularly fail like ours? 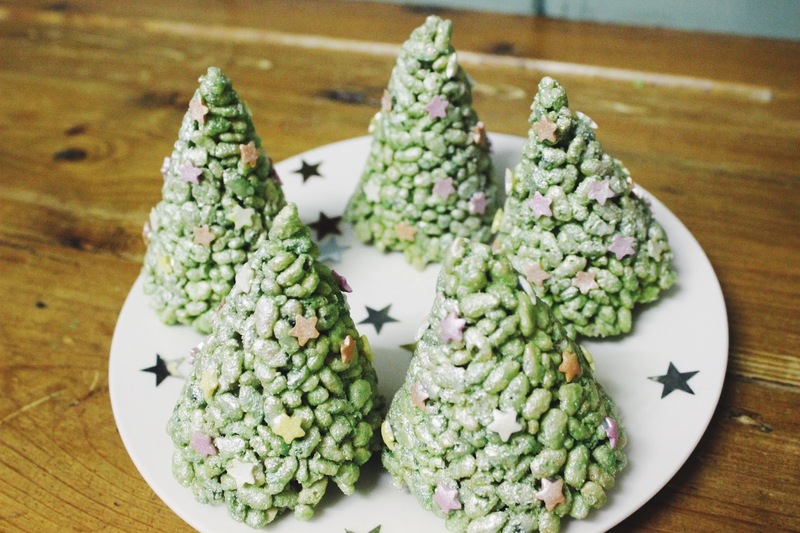 I genuinely laughed so much when reading this, especially the part about the Rice Krispie Christmas trees omg 😂😂 I think Pinterest is a website purely of dreams - how on earth people actually make half the stuff they put on there I don't know! At least the experience gave you a funny story to look back on with your brother, I suppose? 😂 I hope you're still feeling Christmassy! Omg I loved this! 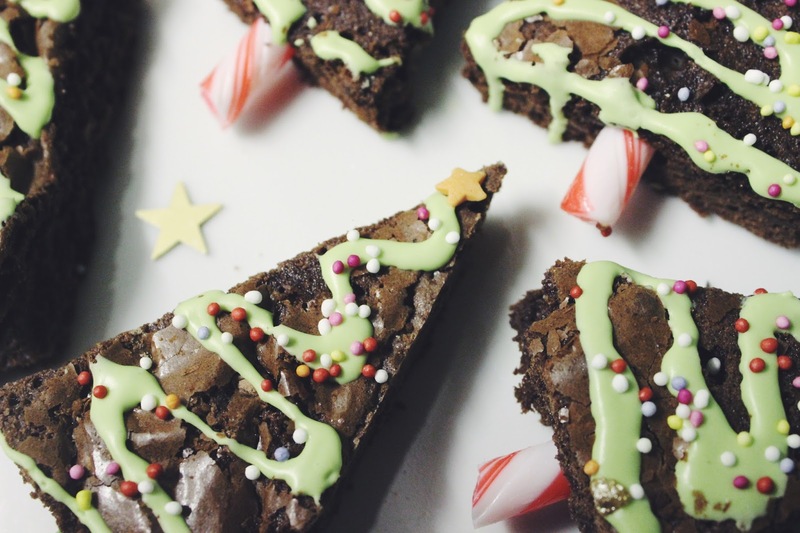 We're actually going to do some of these ourselves over Blogmas and now I'm worried for us hahahaha to be honest, they actually look super cute and I say you did well!! Haha this was so funny! 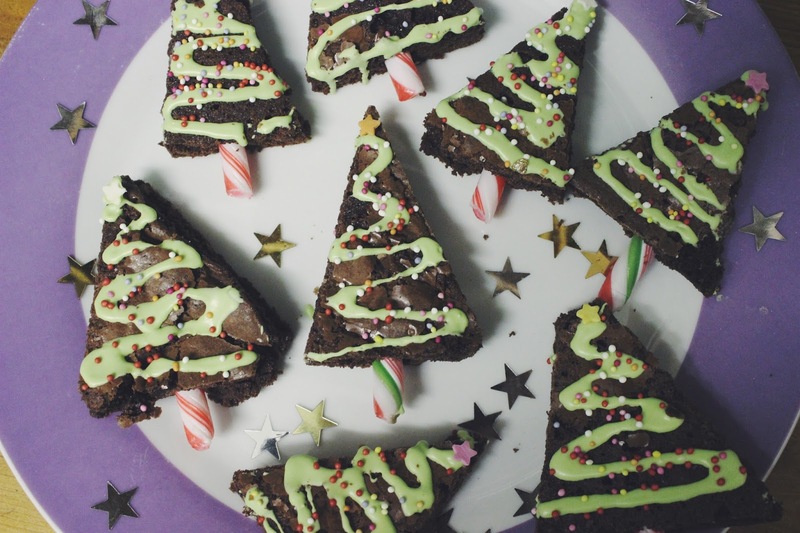 To me they look GREAT though, I wouldn't even have attempted to ice the brownies! As long as they tasted good, that's the main thing!